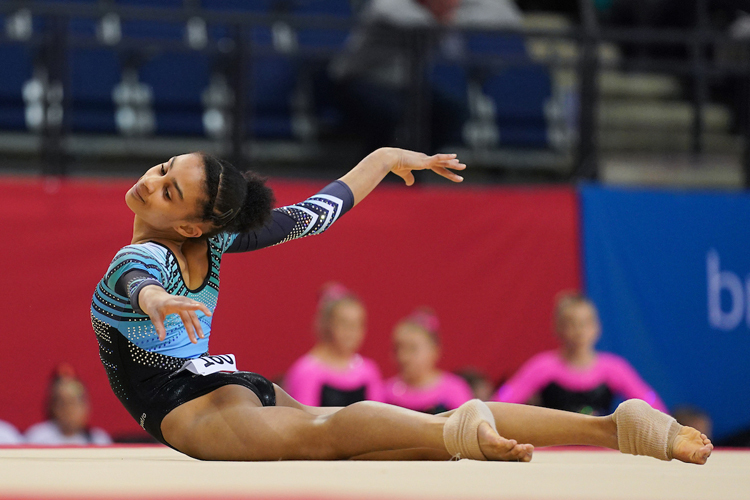 Over 500 of the best gymnasts from around the UK entered this year’s Gymnastics British Championships which came to a spectacular close at the M&S Bank Arena in Liverpool on Sunday. Across four days of incredible competition, medals were awarded in all-around and apparatus finals in the espoir, junior and senior women, under 12, 14, 16, 18 and senior men as well as the disability masters and the men’s masters. 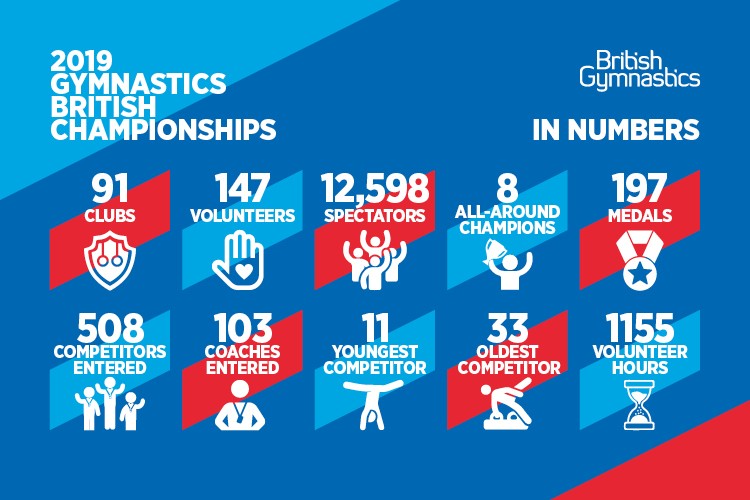 Jane Allen, British Gymnastics CEO said: “Congratulations to all the gymnasts, coaches and clubs who took part and contributed to this year’s fantastic British Championships. We saw a lot of outstanding gymnastics from many incredibly talented senior and junior gymnasts and this makes for an exciting future, especially with Tokyo on the horizon. 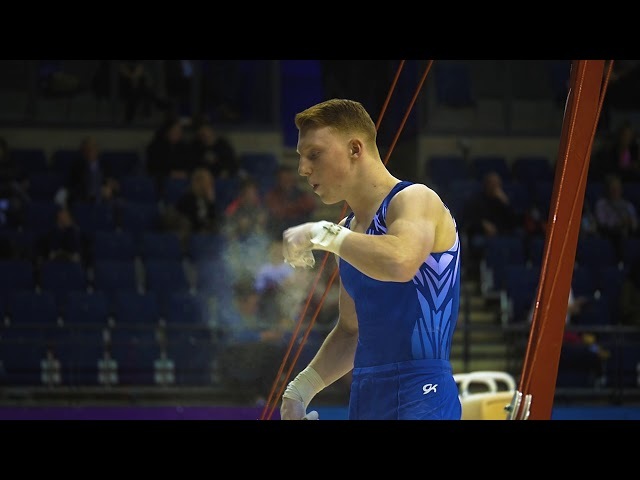 “We love coming to Liverpool and the atmosphere in the M&S Bank Arena was brilliant as ever with over 12,500 spectators cheering on our competitors. A number of gymnasts, coaches and judges were recognised for their performances and services to the sport and were awarded with master certificates across the week. 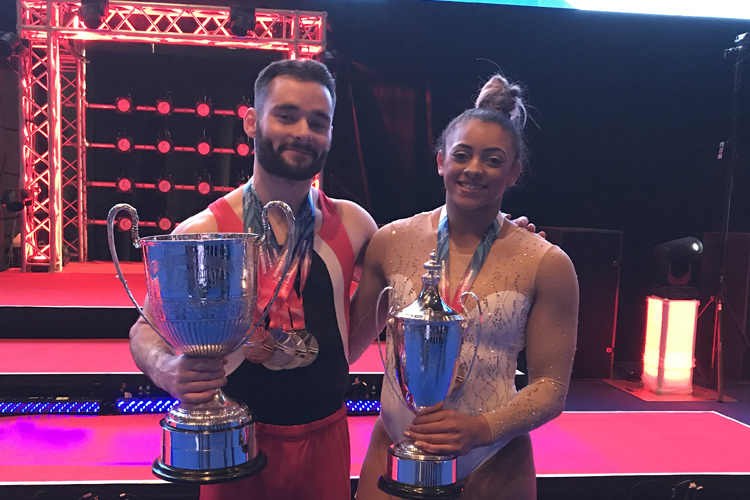 Senior gymnasts, James Hall and Kelly Simm were also awarded FIG World Class pins in recognition of their world class performances. See the full list of master certificate recipients below. This year spectators also had access to event radios for the first time. Alongside the BG score app, the event radio gave fans a running commentary of what was what was happening in the arena, meaning they could stay in touch with the action, in and out of their seat. The iconic superhero trio, the Powerpuff Girls created extra excitement over the weekend as they met lots of excited young fans as we promoted the new POW! Academy initiative linked to our Core Proficiency Award Scheme. 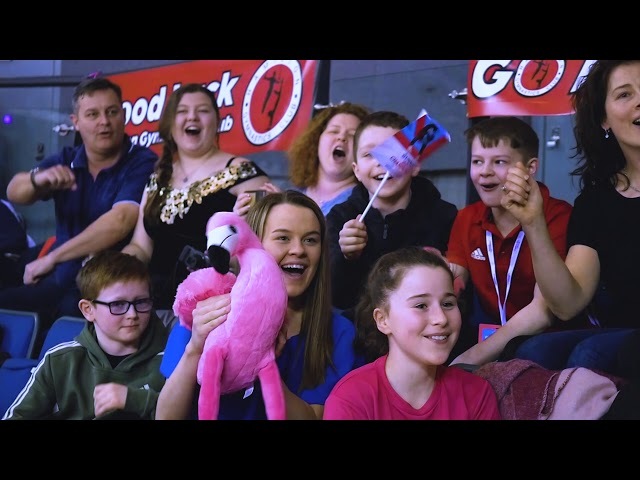 It was a particularly special weekend for the Summers and Holland families who enjoyed the action from our Best Seats in the House and got the chance to take a tour backstage and meet some of our GB gymnasts. 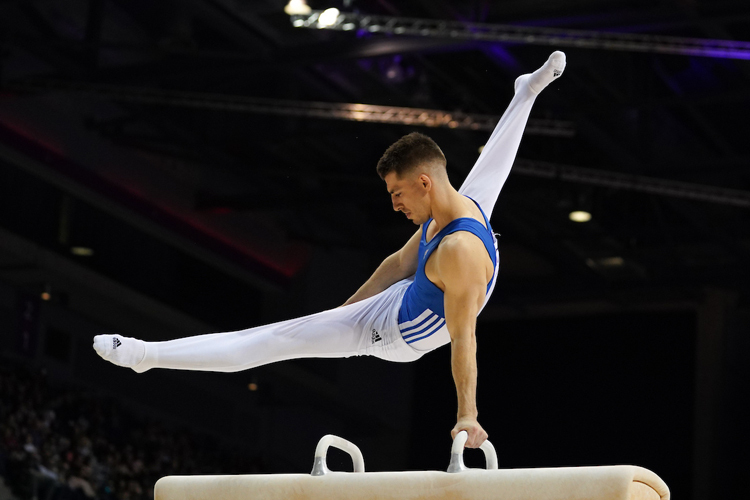 British seniors’ Brinn Bevan, Joe Fraser and Ellie Downie will all be back in action next Saturday at the Gymnastics World Cup at the Resorts World Arena in Birmingham. Get your tickets and see more fantastic gymnastics from some of the best gymnasts from around the world.